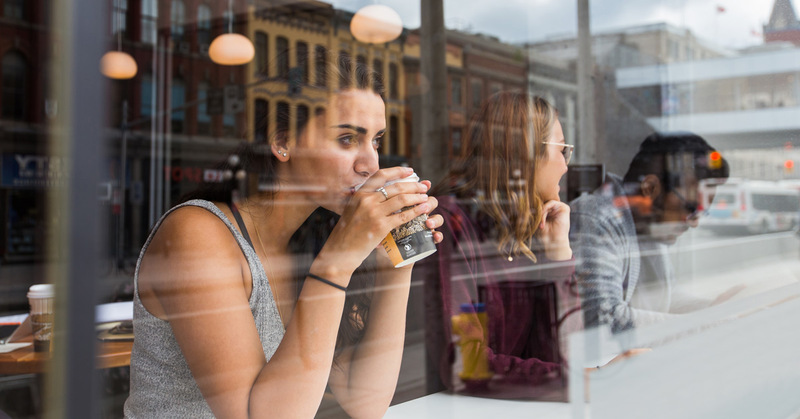 There are so many great places to fuel your caffeine needs on campus and nearby. Whether you want to sit-in or take away, there is something to suit every taste. The student-run Café Alt serves fair-trade coffee and delicious lunches that include vegan, gluten-free and vegetarian options. Arrive early to grab a spot at a booth, couch or table (with lots of outlets) and study your day away. @emmaloulouuu recommends their chai lattes! Located in the centre of the main campus, Nostalgica has a complete coffee (and tea) menu plus a lot of tasty food. Its “beyond fair-trade” coffee and red espresso makes this café a definite campus destination. If you’re in a hurry and want to take away some tasty coffee and a light bite to eat, Go Cafés are perfect for your needs. There are locations in Lamoureux, Fauteux, Tabaret, Lees, and Roger Guindon. Just like Starbucks, Second Cup can meet all your coffee and sweet-concoction needs. Its café on Laurier Avenue usually has shorter lines and Morisset is handy for those late-evening library sessions. Beware the lure of a fancy Frappuccino just before class, because the line at this Starbucks location can verge on chaotic. Best go 15 minutes after the start time of any class, or early in the morning and late in the evening. But remember there are 8:30 a.m. and 7 p.m. classes too. If you can’t start your day without a double double and an apple fritter, look no further than UCU and SITE. There are two Express outlets: across from Pivik in the UCU and inside SITE’s food court, serving hot drinks and, of course, doughnuts. The full-service Tims locations are on UCU’s second level near Terminus and at SITE, just outside the food court. At Bluebird, they roast their own beans, which makes for some great coffee. With massive tables and plenty of places to plug in, it’s another ideal study spot. Coffee not your thing? This teahouse on Somerset East at Russell specializes in that other kinda cuppa. Located in a former church, the Guild Room is a place to go when you don’t want to be found – if that’s your goal. The food, comfortable seats and multiple types of coffee could make this your new happy place. Sandy Hill’s Happy Goat Coffee Co. has followed its T.A.N. predecessor with a reputation for friendly baristas, tasty coffee and a relaxed atmosphere – all the ingredients for a session with the books. With its unique artwork, great sandwiches and beer and wine options, Origin is perfect for a study break — with friends or on your own.